AMERICANS CONSUME NEARLY 20 BILLION NEW ITEMS OF CLOTHING EACH YEAR. YET FEW OF US KNOW HOW OUR CLOTHES ARE MADE, MUCH LESS WHO PRODUCES THEM. 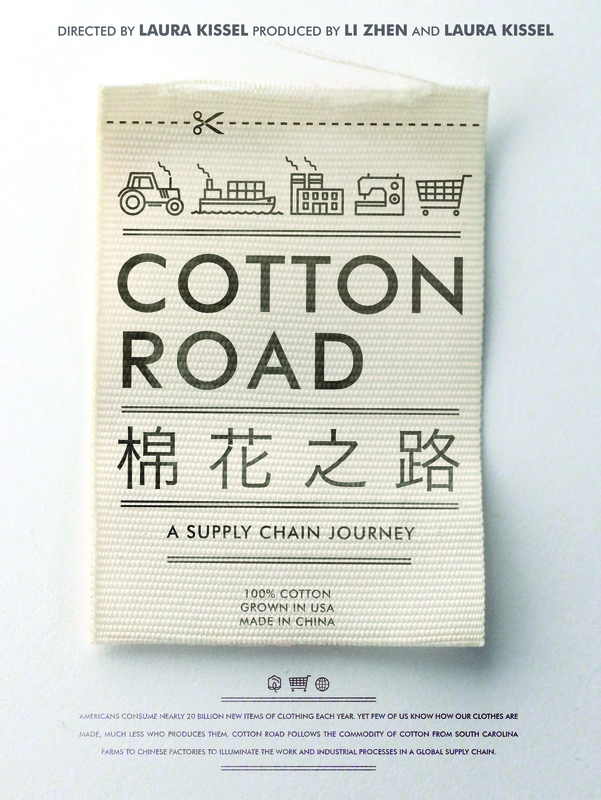 COTTON ROAD FOLLOWS THE COMMODITY OF COTTON FROM SOUTH CAROLINA FARMS TO CHINESE FACTORIES TO ILLUMINATE THE WORK AND INDUSTRIAL PROCESSES IN A GLOBAL SUPPLY CHAIN. What does a rural town in South Carolina have to do with China? 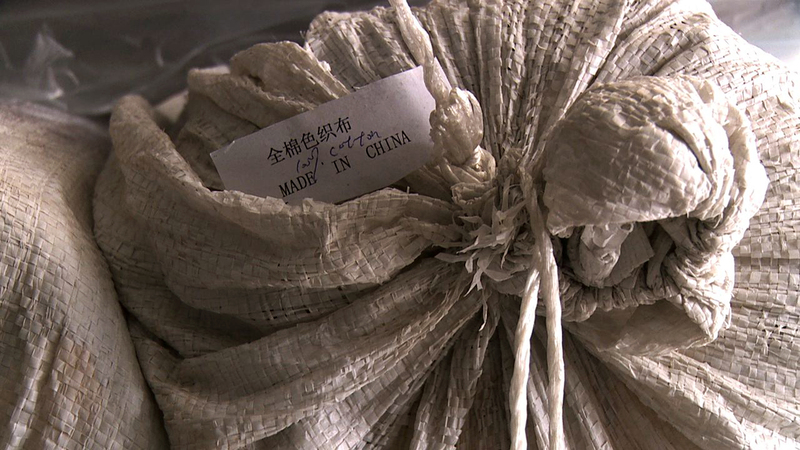 Americans consume nearly twenty billion new items of clothing each year, and at least one billion of them are made in China.Cotton Road uncovers the transnational movement of cotton and tells the stories of worker’s lives in a conventional cotton supply chain. From rural farms in South Carolina to factory cities in China, we span the globe to encounter the industrial processes behind our rapacious consumption of cheap clothing and textile products. Are we connected to one another through the things we consume? Cotton Road explores a contemporary landscape of globalized labor through human stories and provides an opportunity to reflect on the ways our consumption impacts others and drives a global economy. Join us for a Clothing Swap before the film and a Q&A with the filmmaker following the screening! Any and all clothes welcome, including accessories! Make sure to clean clothes and check pockets before bringing garments to the swap. Clothing swap is free and open to the public – please invite your friends! Men’s, women’s, & children’s fashion, clothes of all styles and sizes welcome! Film Tickets $5, but no one turned away due to lack of funds!